What's happening with Christian Formation? Our principal service of worship on Sunday mornings is the Holy Eucharist, or the Mass. Low Mass at 8am. High Mass at 10:30am. Saturdays Low Mass at 5pm. Click here for our upcoming special services. Don't miss out on what is happening! 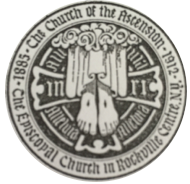 Check out this week's announcements at Ascension.